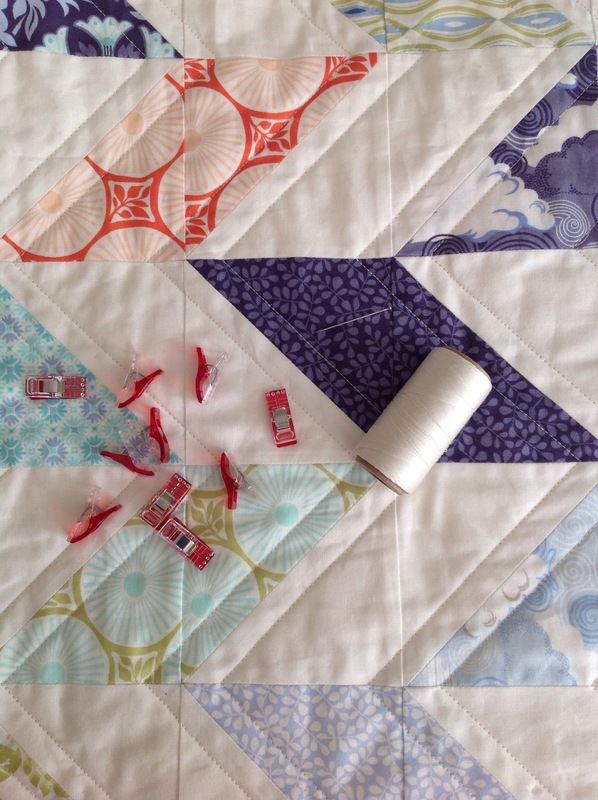 I’ve been quilting up a storm the past couple days. Binding is attached and ready to be hand sewn the rest of the way. There is something so satisfying about this step for me. 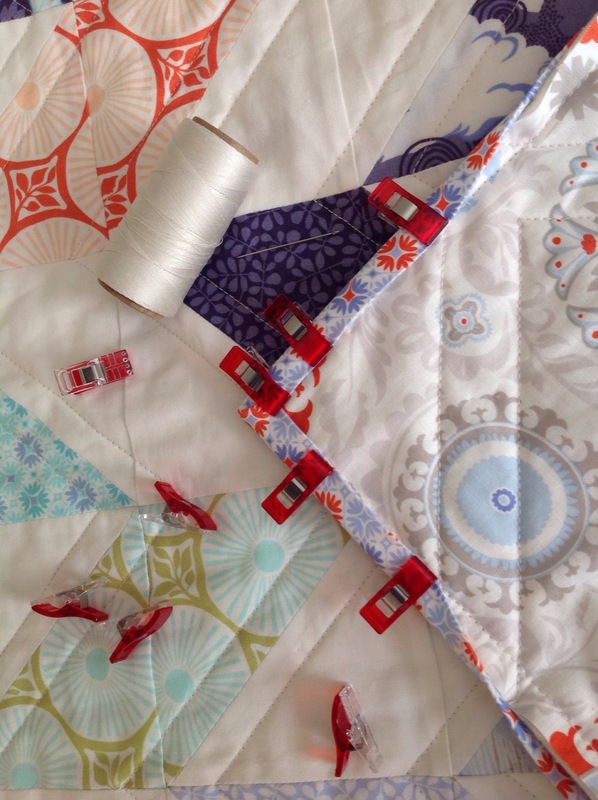 Binding seems to be one of those polarizing subjects for quilters. You either love or hate this step. I love it. I think it’s because I know my quilt is almost done. But mostly it’s because I can sit back on the couch, kick my feet up and hand sew while watching TV with my family. Sitting at the sewing machine is not as fun (not to mention hard on my back). If it’s cold outside, sewing on the binding is even better because you get to snuggle under the quilt at the same time. Unfortunately it’s not so cold out today. That’s ok, still my favorite part of quilt making. Time to continue my lazy Saturday, kick up my feet and do some hand sewing. I’m pretty sure one of the kids will watch Frozen with me again for the umpteenth time. This looks like it will be an absolutely beautiful quilt. Enjoy!